Reduce glare and reflections with the smart Polarizing Filter. Improved focusing and clarity with best colour fidelity. ​Compatible for DR900S, DR750S and DR590 series dashcam. 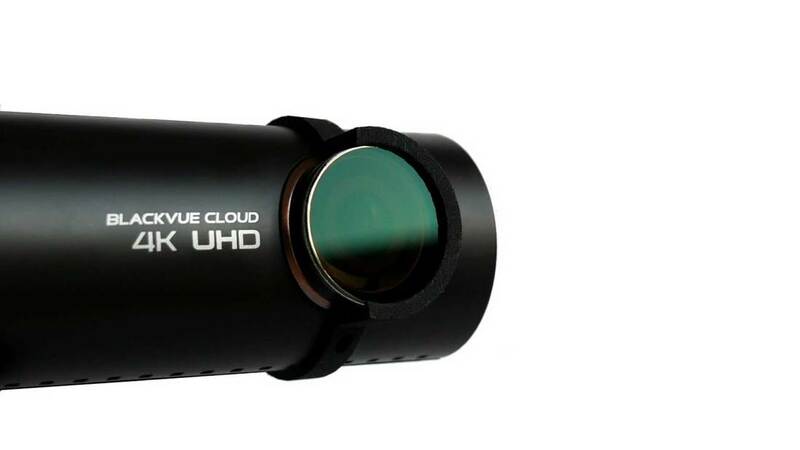 Designed to fit nicely to the BlackVue's elegant design. 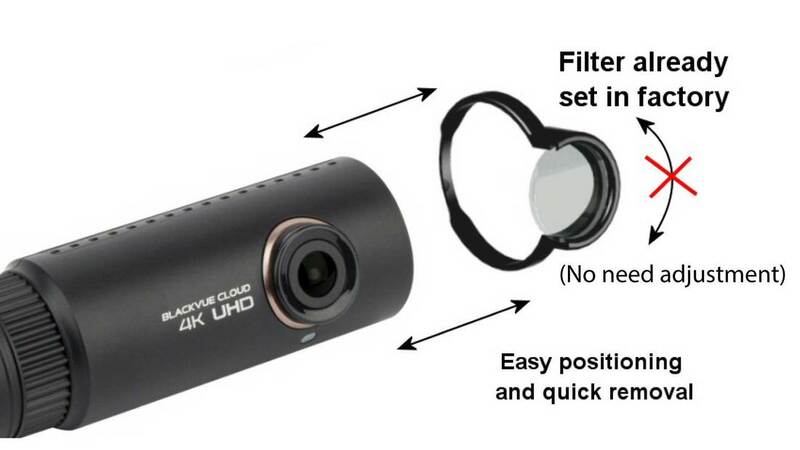 Just slide the Polarizing Filter to the dashcam and position it exactly in front of the lens. Guess what, that's it. Let the Polarizing Filter do the work! 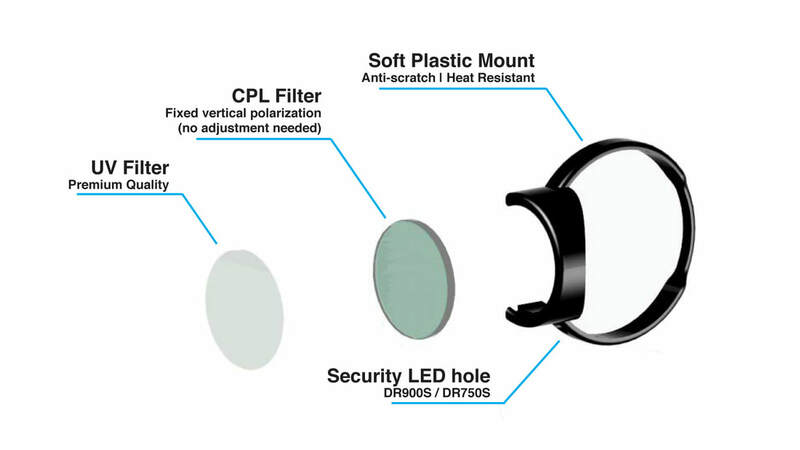 Glare and reflections will be reduced significantly when Polarizing Filter (CPL) is applied. Using high quality material with effective design.